Reducing the weight of electronic power steering systems (EPS) without compromising driver safety has proven a great challenge to the industry. Our Arnite® XT engineering plastic is ideal for replacing metal in the EPS due to its excellent mechanical performance. The material delivers up to 50% weight reduction over metal in EPS systems, with a cost reduction of 10 to 40%, depending on the region and complexity of production. This significant reduction was recognized by Frost & Sullivan in 2014, where we lead the industry in “enhancing value for Tier 1 suppliers of steering systems by establishing a new benchmark in weight reduction”. Our solution is proven safe, meeting the stringent safety requirements for impact, strength and torque tests, one-time misuse tests, high temperature exposure, and long-term durability. Its safety is based on a Failure Mode and Effect Analysis (FMEA) system that covers safety in design, processing, and the material across the entire value chain – from our raw materials to the finished part. How will you design automotive components that meet the challenges of your industry, today and tomorrow? DSM offers high-performing plastic solutions, technologies and expertise for the extreme demands of next-generation vehicles. 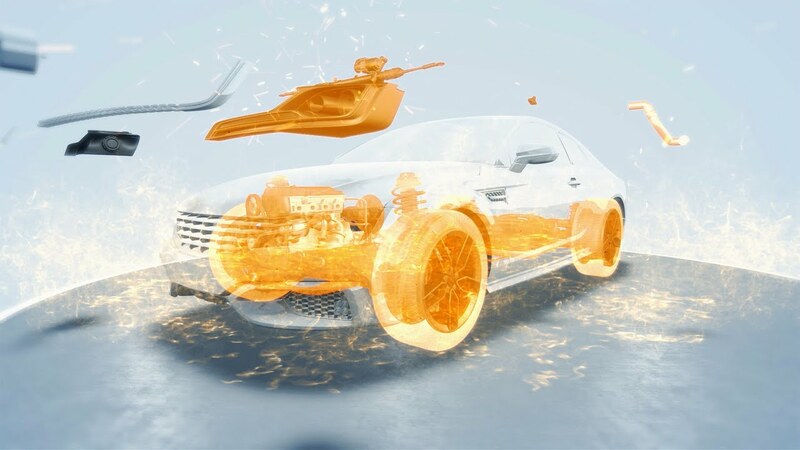 Our materials are a driving force in producing automotive components that are extremely light; that reduce friction in the engine; and can operate in the most extreme heat. On the road to zero emissions It’s time to think differently. To think beyond metal. And above all, to think together.